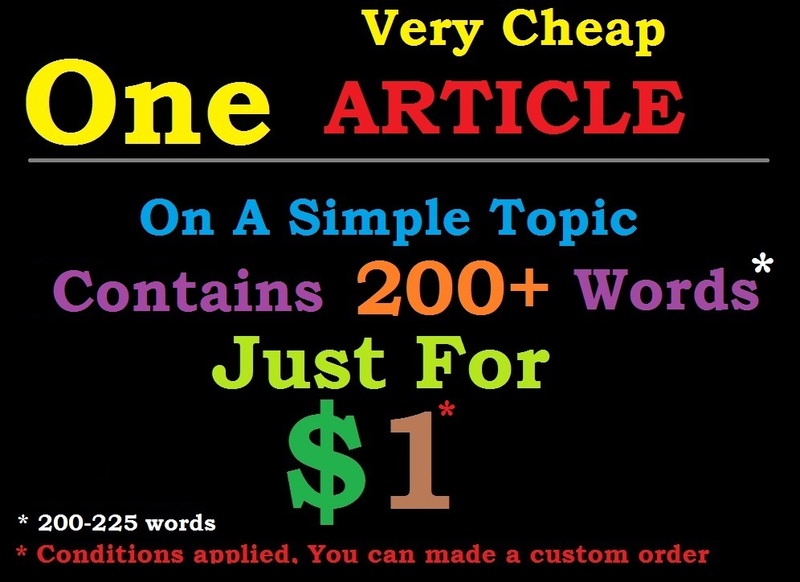 You will get a very very cheap and simple article. It will be 200+ words. You have to give me a simple topic, and I will write as per it. Don't think, it will be a low quality. I may try to carry the quality as per my work with the money u give. If you need some custom high-quality writing, you can add them from this service. Or message me. Ok? looking forward to writing them for you. Cheap Article For You is ranked 5 out of 5. Based on 297 user reviews.